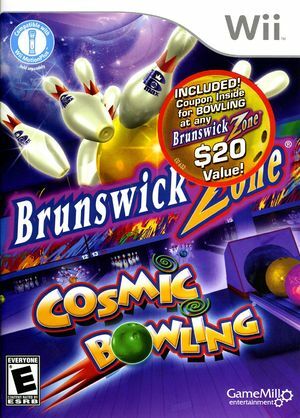 Brunswick Zone: Cosmic Bowling captures the essence of the new "Zone" bringing the excitement, lights and music of Cosmic Bowling to your living room. 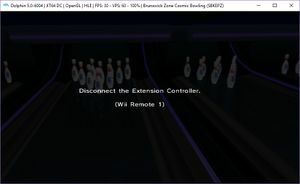 If using emulated Wii Remotes the title will prompt to remove the Extension Controller, even if none is attached; halting progress just before gameplay starts. This may effect real Wii Remotes as well, but that remains untested. The graph below charts the compatibility with Brunswick Zone: Cosmic Bowling since Dolphin's 2.0 release, listing revisions only where a compatibility change occurred. This page was last edited on 20 January 2018, at 23:19.